A tubes in which chocolate can be syphoned quickly into ones mouth. In every bulk order of these mini tubes, you’ll receive mini M&M-stuffed tubes to pour into your mouth, shake onto the top of an ice cream sundae, add to a gift basket for friends, stuff into a pinata, or practically anything else you can think of. Plus, the tubes come in different colors of yellow, blue and green, so everyone will be able to pick a color they love as well as a delicious chocolate treat. Start the party with our M&Ms Milk Chocolate Mini Tubes today. They are tasty and delicious mini M&Ms,colourful tubes,make you happy. 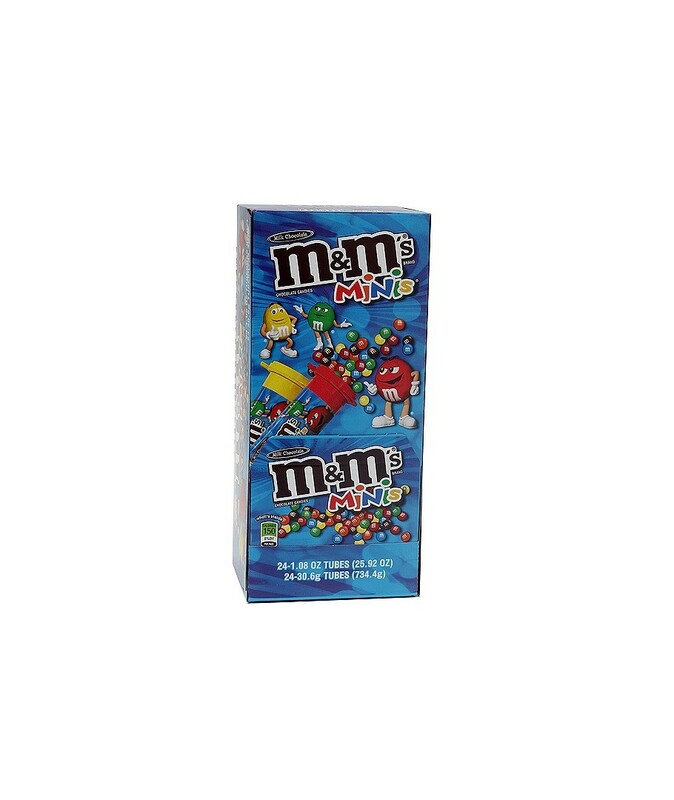 you can buy M&M 24 CT MINI TUBES in bulk at a wholesale price at Volt Candy Online.